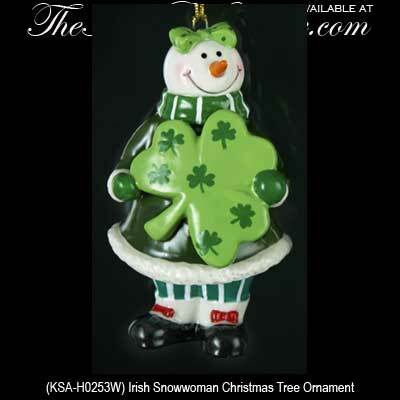 Irish snow woman Christmas tree ornament is holding a large shamrock. The ceramic Irish Christmas ornament measures 3 1/2” tall and is gift boxed with the shamrock history. From Kurt S. Adler.